Looking for a Personal Trainer, Small Group Personal Training or Yoga Classes in Lewis Center, Ohio? 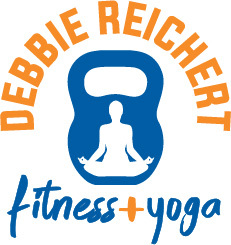 Welcome to Debbie Reichert Fitness & Yoga Studio! Thanks to all of YOUR votes, we did it! On December 5th, 2018, Debbie Reichert Fitness & Yoga was voted Columbus #1 Top Pick Specialty Fitness and Yoga Studio!! This is a city full of amazing fitness studios and I am overwhelmed with gratitude for the support I’ve been shown over the last 6 years, and especially the last 8 months since we opened our own space and added yoga to the biz. It’s been a whirlwind and I am so grateful for this honor. See you at the studio! At DRF we offer all 3 at reasonable prices, with only the best personal & small group trainers and Yoga instructors at your service. At the studio, all areas of wellness are looked at. From strength training, endurance, flexibility, core strength, mindfulness, proper nutrition, supplementation, to accountability and support through private Facebook client group pages. All of our trainers and instructors bring their own personality and skillset to the table, offering our clients a wide variety of help and support. I hold Clean Eating Workshops at our studio and online webinars for people interested in learning about superfoods, healthy recipes, clean eating food preparation and how/why to stay away from processed foods. If you are looking for a fun, unique place for a Girl’s Night Out or work/team building event, Debbie’s studio can be used for private yoga classes with one of her amazing instructors. Our Yoga studio in Lewis Center is conveniently located near Delaware, Dublin, Polaris area, Powell, Westerville and Worthington.